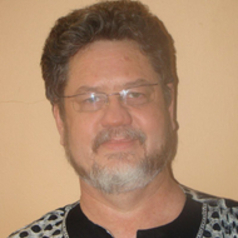 Dr. Kobus Herbst qualified as a medical doctor from the University of Pretoria in 1979 and completed MSc(Med) degree at the University of Cape Town in 1988. In 1994 he qualified as a specialist in Community Health (Public Health Medicine) at the Medical University of Southern Africa (Medunsa). Dr Herbst developed and implemented Information from ReHMIS (Regional Health Management Information System) system used in a series of formative reports related to the restructuring of health services after the 1994 elections in South Africa. Whilst working as a consultant as the Special Advisor to the Minister of Health, he was responsible for a second national survey of health services using ReHMIS and for information support in the development of district health services in the country. From 1997 to 2000 Dr Herbst was head of the Department of Community Health at the satellite campus of Medunsa at the Pietersburg-Mankweng Hospital Complex in the Limpopo Province of South Africa. He was a pioneering member in the set up of the demographic surveillance systems at the inception of the Agincourt Project in late 199 and developed the first information system used by the project in 1992. In February 2001 Dr Herbst took up a post as project leader of the Africa Centre Demographic Surveillance System in Mtubatuba, KZN. In 2004 he was appointed as Deputy-Director of the Africa Centre for Health and Population Studies, UKZN, a position he still holds. Dr Herbst' primary interest is in data management systems for research and health service delivery. He's worked with Health Partners (SA) on a variety of human resource planning projects in South Africa, Malawi, Zambia, Botswana and Nigeria, involving the development of human resource modelling (HRPlanner) and management software programs (HRAdmin). He has gained considerable experience in fee schedule development and costing through his design, development and implementation of the Uniform Patient Fee schedule (UPFS) at public hospitals throughout the country. His work for the Satchwell Commission on road accidents to cost the care of road accident victims was built on his vast experience. From 2003 to 2006 Dr Herbst worked with the Council for Medical Schemes to develop the National Health Reference Price List (NHRPL), and played a leading role in developing the costing and impact assessment methodologies, as well as the development of an information system used to manage the NHRPL. He is the principal investigator of the INDEPTH Data System initiative to harmonise and improve access to data collected by member demographic and health surveillance sites in 20 African and 5 South-east Asian countries.